Leeds-based Bayfields Opticians has confirmed the acquisition of two practices, buying the Horsforth and Kirkstall branches of Alison James Opticians, for an undisclosed sum. 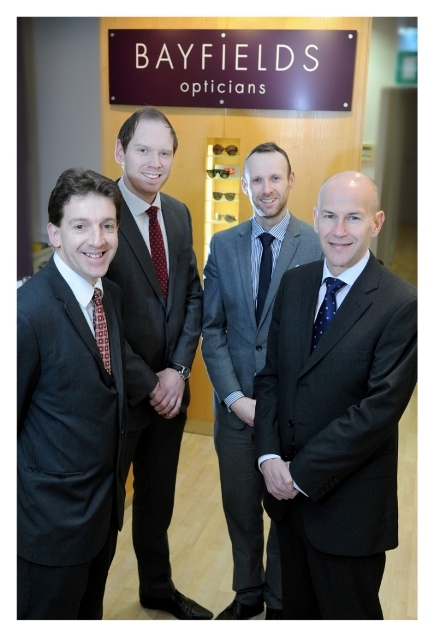 Shulmans solicitors’ corporate lawyer Marcus Armstrong acted for Bayfields Opticians in connection with the acquisition of the practices, whilst Yorkshire Bank provided acquisition funding for the deal. The latest acquisitions take the total number of Bayfields practices up to seven – putting the group firmly on track to achieve its ambitious business plan to have 50 practices by 2025. “We are thrilled with the latest acquisitions. Horsforth has long been an area of interest to us as it will work in synergy with our Yeadon and Headingley branches. Bayfields has premises in Headingley, Yeadon, Pontefract, Wakefield and at the University of Leeds, and was awarded Best Optical Health provider at the 2012 Leeds Therapy Awards. The group will be retaining staff at the Horsforth and Kirkstall practices, taking the total number of employees at Bayfields to 41. “Our plan is to invest in the latest practices, both in terms of staff and technology, whilst continuing to work with both Shulmans and Yorkshire Bank in acquiring further suitable businesses. “Bayfields is a dynamic and inspirational company that we are delighted to work alongside in helping it to achieve its strategic plan. “We are delighted to be able to support the Bayfields Group with its plans for growth within the Yorkshire market.